Monique Samuels beautiful daughter Milani, with her dolls from Natural Girls United, in 2016 & 2019. 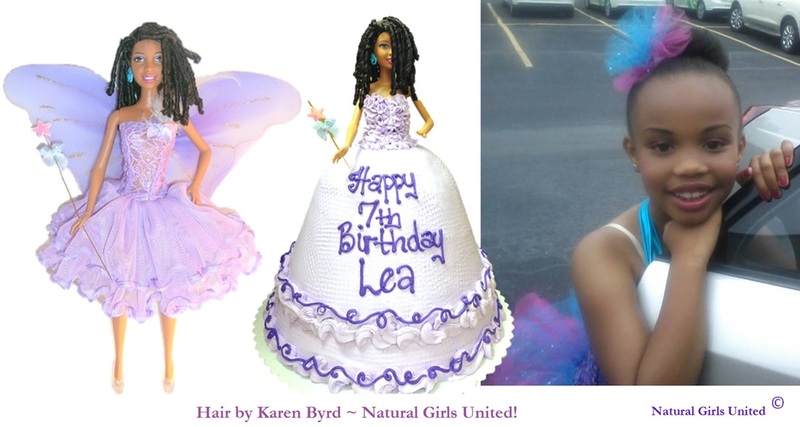 Lea received a wonderful surprise when her mom Keshia gave her a birthday cake featuring a Natural Girls United custom doll. 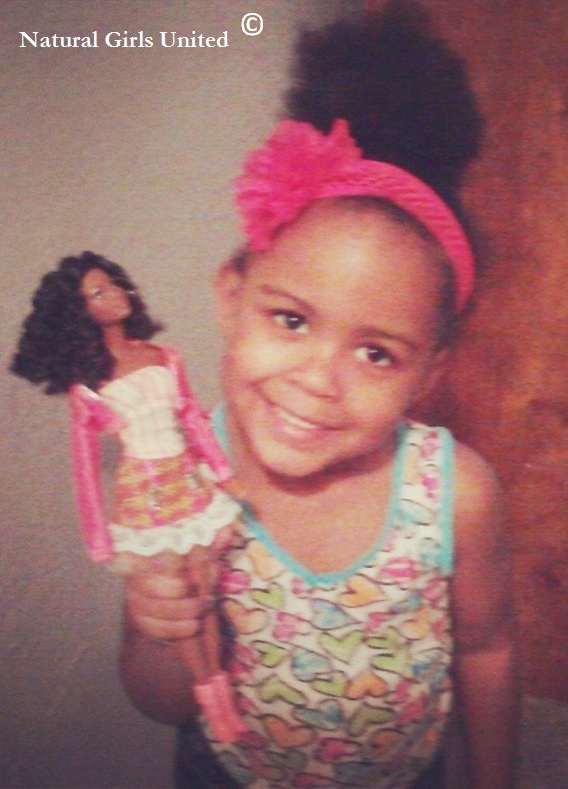 Nia with her Natural Girls United doll. 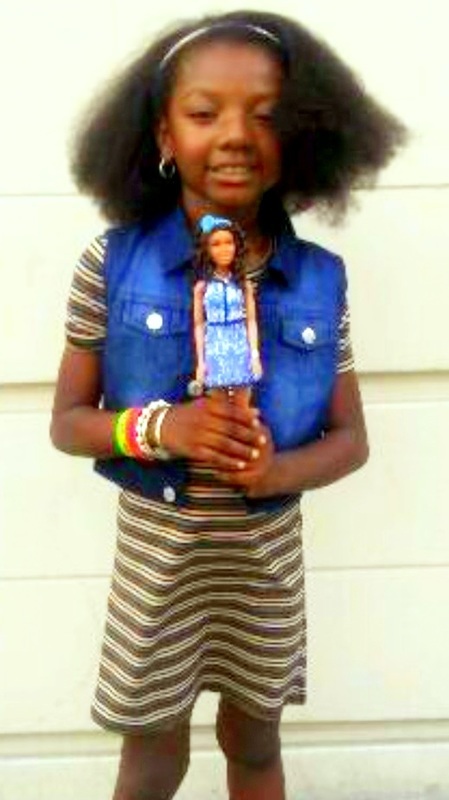 Tori with her new custom made Loc's doll from Natural Girls United! ﻿This beautiful doll was purchased for a customers birthday celebration. She did an amazing job with displaying the doll (clothing and accessories purchased by customer). "See the photo of my beautiful doll. ...she was a huge hit at my 50th birthday celebration. Your work is awesome and made my celebration just a little more festive. After all, when I received my first doll almost 50 years ago, she was white and I was afraid of her. My uncle had to paint her brown so that I'd play with her. Now, look at how far we've come...now, I have my [new doll]." - N.R. 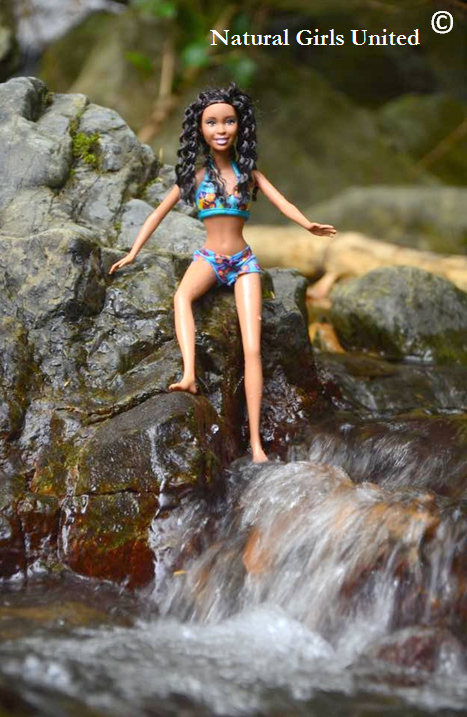 This gorgeous photo was taken by a Natural Girls United customer who "Took her on a trip to Argyle Waterfalls in Tobago." 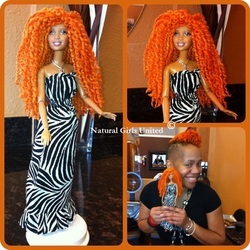 - Bern D.
Zora and her new doll from Natural Girls United! 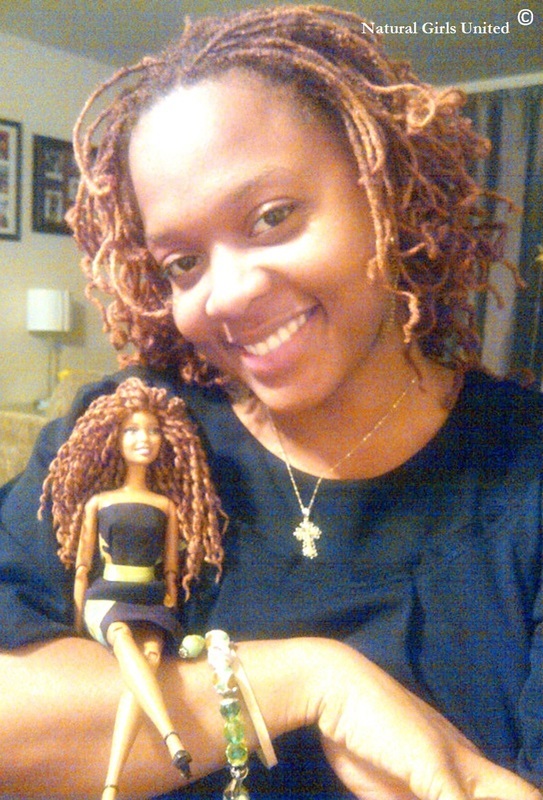 Jackie with her new custom made Loc's doll from Natural Girls United! Mummi's goddaughters customized doll from Natural Girls United! 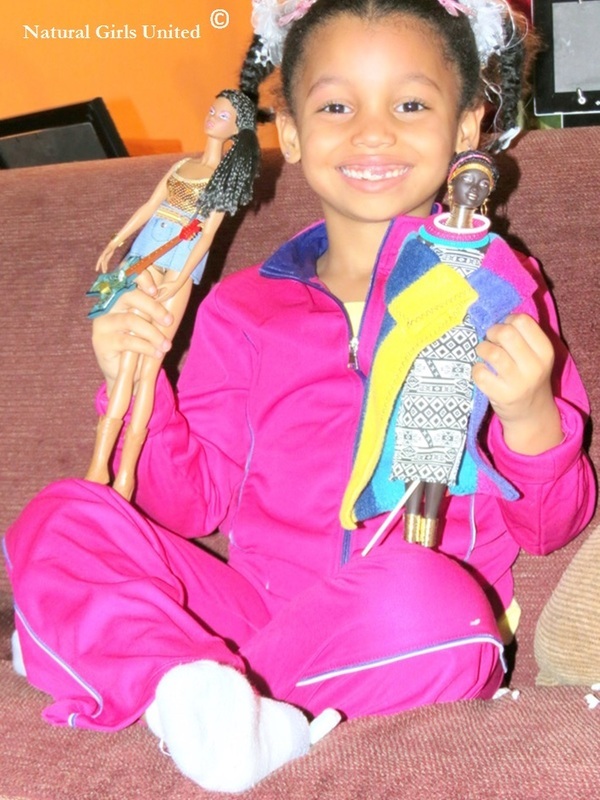 Gabby with her new Christmas presents from Natural Girls United! (one customized doll & one collectors doll). 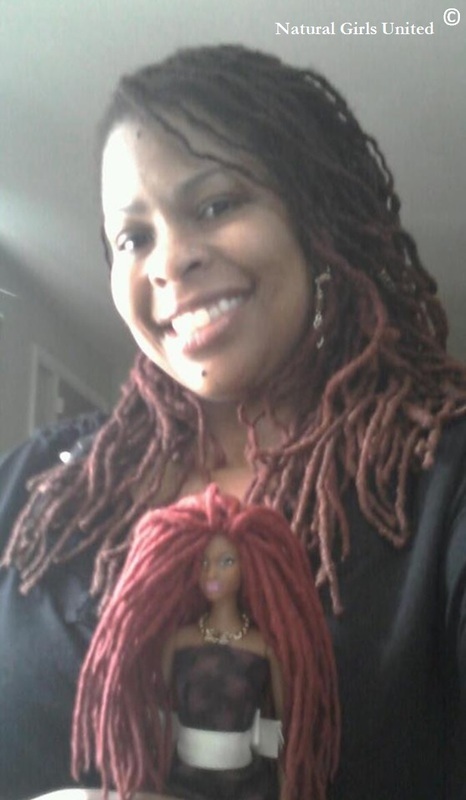 Fabulous Bay Area Loctician Kem Simmons, with her custom ordered Natural Girls United doll. Thank you for sharing your photo of your Natural Girls United photo on Instagram Jae! 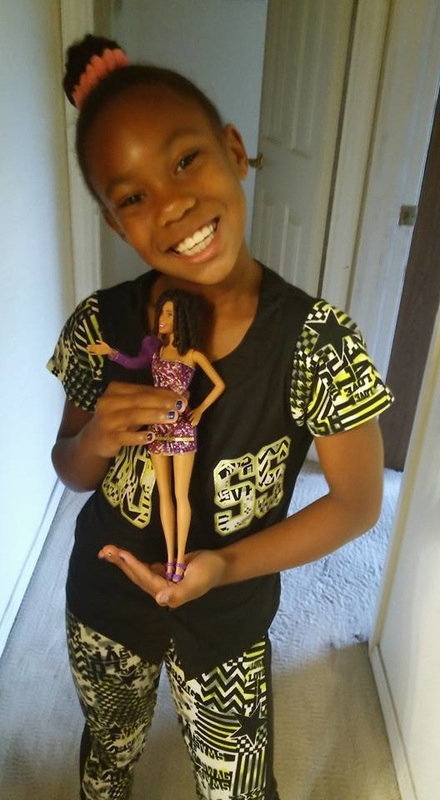 Jennifer's daughter's new doll from Natural Girls United! "My daughter LOVES her doll!! I'm so glad I found you guys in time for her birthday! It's perfect!!!" 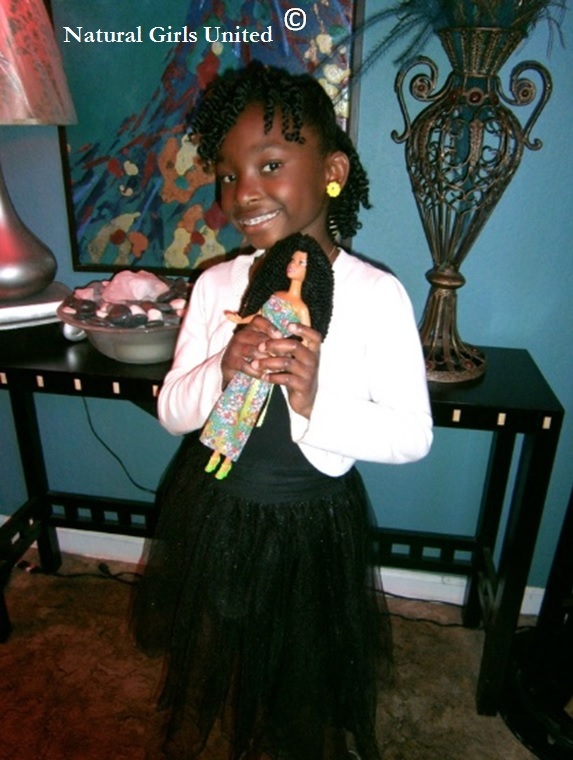 - Jennifer B.
Tariana won this curly braids NGU doll at the Hidi Opportunities G.I.R.L.S Expo. Thank you to LavishlyBritt for sharing my N.G.U. doll, that I customized for you. This video was published in February 2017, for Black History Month. To see the full video, please go to - Black Owned Baby Haul. To see more of Brittany, go to LavishlyBritt - YouTube. 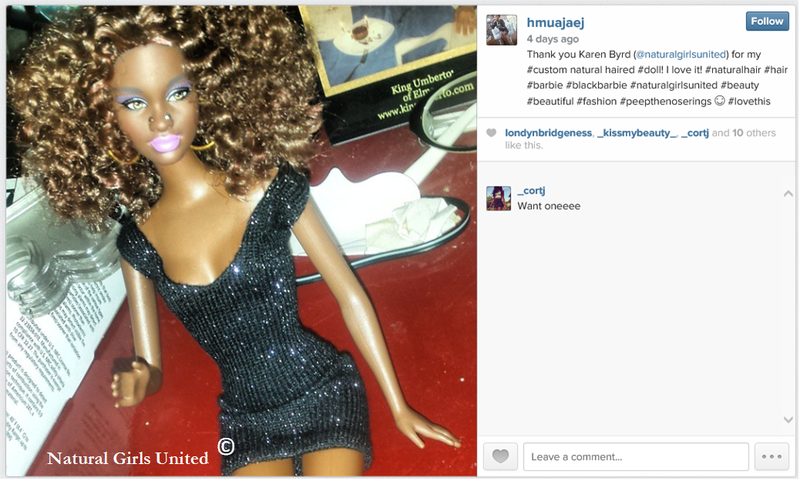 *Please note that the actual doll is not from Natural Girls United. 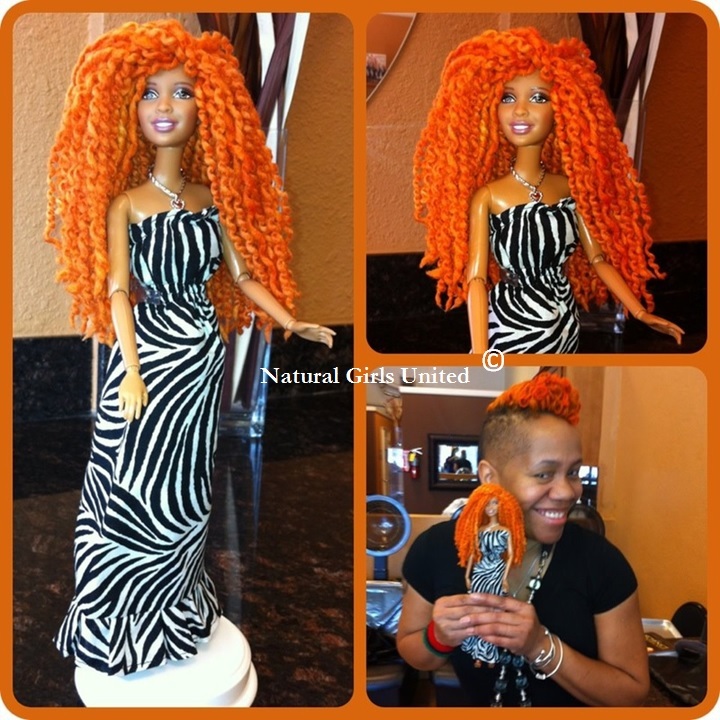 Karen, of Natural Girls United, only customizes the hair of dolls with straight hair. 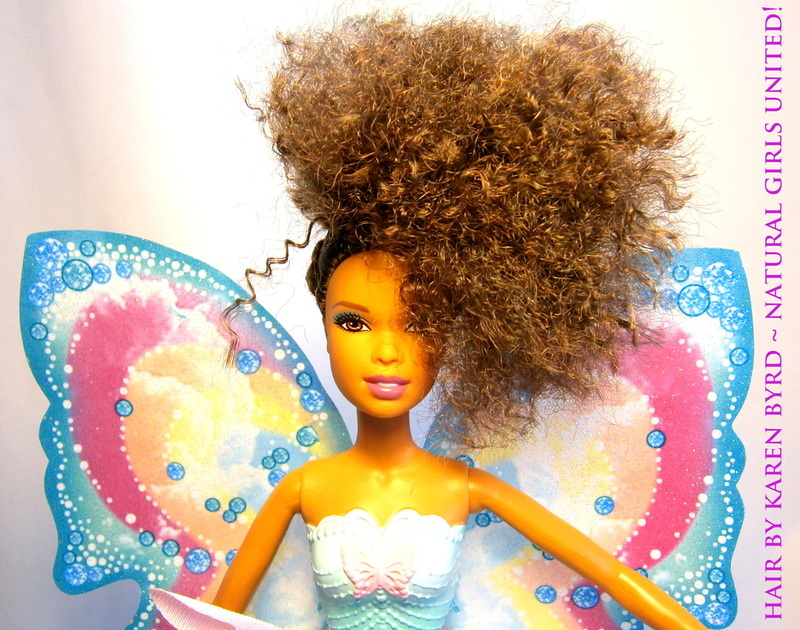 The goals is to provide a large selection of dolls with ethnic inspired hair styles. A Review from the United Kingdom! Thank you Patricia (a fabulous Natural Girls United customer from the UK) for this wonderful doll review! I love how she pointed out that our young girls and women need to see images of themselves around them, to strengthen their knowledge of knowing that they are beautiful just the way they are. I hope your daughter loves her new doll! Review from Online Radio Personality, Kena Shaw. 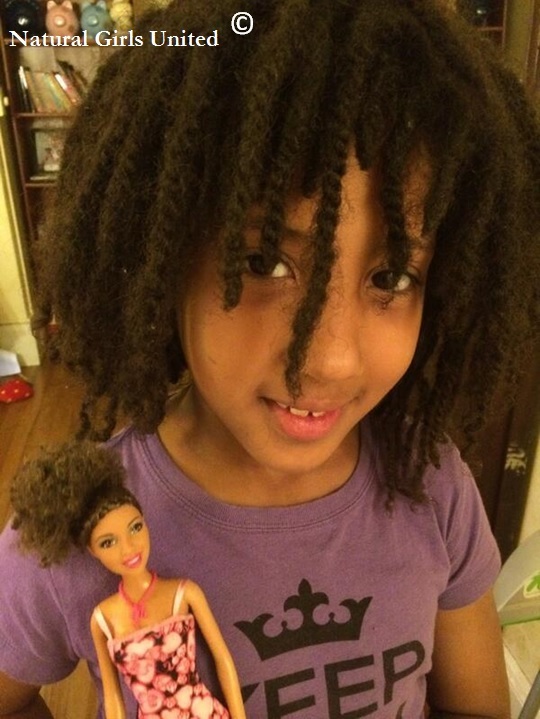 Thank you to Kena, for this great review of her Afro Hair doll from Natural Girls United. I am happy that she finally has a doll that represents her beauty with her skin complexion and her hair texture. To learn more about Kena, check out her online radio show at Chocolateisnatural. "Karen we are so enjoying this doll! I am going to have 1 made like me soon! We are going to keep passing them thru our family as family heirlooms! Down so that many years from now Lea's daughter will be able to look at the dolls and till one day down the family tree someone looks up at the mantel and says that's my grandmother" - From Keshia who brought a doll for her daughter. Comment shared on Facebook. “I love your dolls… How utterly beautiful. Such pride and joy this brought me! !” – Allison V., Facebook. 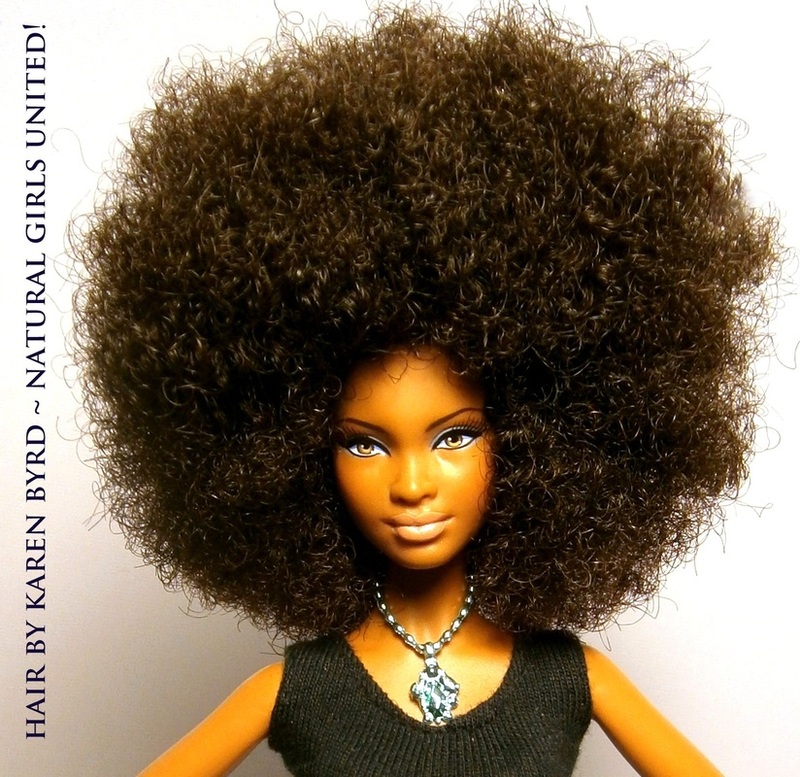 If you would like to add a photo of yourself or your child with your/their new Natural Hair Doll from Natural Girl's United!, or if you would like to add a positive message about Karen's Natural Hair Doll's, send an email to naturalgirlsunited@gmail.com.